The editor casts his mind back to some that were more sporting in appearance than in performance. 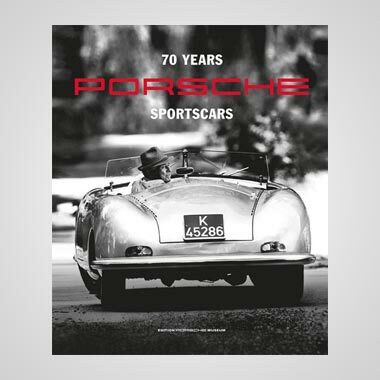 It is rather astonishing that the interest in, and demand for, sports-cars in the vintage days was so pronounced that a great many manufacturers sought to cater for it and try to tap this supposedly lucrative market. 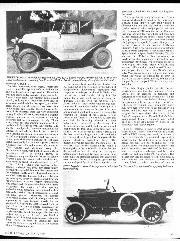 It would be more accurate to say that almost every make of car competed at some time or another at Brooklands — except for the Trojan (but Thomson and Taylor ran a Trojan hack-van there) than to affirm that almost every motor-manufacturer made some kind of sports-car in the years 1918-1930. Nevertheless, the fact is that a remarkably large number did, with the inevitable result that more than a few can be said to have resembled the well-known, unpalatable "grey porridge"... This discourse, while not all-embracing, looks at a few such "sports-cars", which should never have happened except in the opinion of their makers. Beauty is in the eye and mind of the beholder, we are told, but if the sports-cars recalled here were tried by 30/98 Vauxhall or 3-litre Bentley owners I think they would get the "grey-porridge" message. 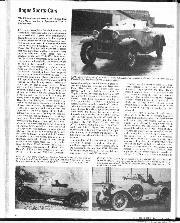 Times alter situations, however, and it is with some trepidation that I report that in the 1920s the chain-drive Frazer Nash was apparently looked down on, and regarded as a bit of a joke, by snooty owners in their "pukka" 12/50 Alvis and Hyper Lea-Francis cars, etc. I have absolutely no wish to be shunned by that quite admirable body of keen, fast motorists, the present-day "Chain Gang", so I hasten to add that this view was imparted to me by a person of the highest authority and experience. Nothing will drag his name from me, but his devotion to the vintage cause earned him a well-deserved "award" many years ago in the Birthday Honours' List. Today, of course, the Frazer Nash is a way of life quite as enjoyable as 12/50-ing (with or without the sort of jolly sportsgirl who featured in contemporary Alvis advertisements), or Bentleying. It was just that in the mid-nineteen-twenties it hadn't earned its laurels in sports-car racing, good as it was at sprinting. 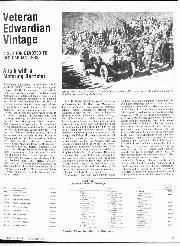 Admittedly it started well, for an Anzani-powered Frazer Nash took its class in the Junior Car Club's 1926 Production Car Race over a 50-lap artificial road-course at Brooklands, after Harvey's 12/50 Alvis had stretched a valve and two more of the fancied 12/50 Alvis contingent had run big-ends, so that this interesting race was won by a 1,100 c.c. Salmson, with Bagshawe's Fearer Nash taking the 1-1/2-litre class from Harvey and the back-braked Alois of Urquhart-Dykes. 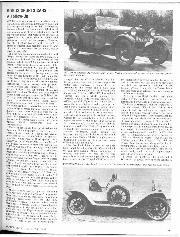 But when the JCC ran its 1927 Sporting Car Race it was a 12/50 Alvis walk-over. Harvey's beetle-back two-seater winning at 63.2 m.p.h. for the 254.34 miles, from Green and Sutton, followed home by a couple of 1,100 c.c. twin-ram Salmsons and another Alvis. In the longer-distance Brooklands sports-car contests of those times, the Frazer Nashes were either discreetly absent, or they failed to shine, leaving Sunbeam, Alfa Romeo, Bentley, MG and Riley to take top honours in races like the Essex Six-Hours, the JCC "Double-Twelve" and the JCC 1,000-miles. And in the Ulster TT no Frazer Nash ever finished higher than ninth. I am entirely on the side of the "Chain Gang", so I put this in simply as a possible explanation of the luke-warm view taken of this make, in the far-off twenties. In something of the same context is the later 20/60 h.p. Vauxhall Hurlingham, although I would not suggest that it was ever intended to be the successor to the immortal 30/98. Whatever following it had, and it did, was not that of drivers who enjoyed the E and OE Vauxhalls. The first car that comes to mind as a bogus sports offering is the Jackson, which had a diminutive single-cylinder De Dion Bouton engine beneath a bonnet very much larger than was needed to house it. Then there was the post-war Coventry-Simplex-engined Warren-Lambert, which I believe went quite well, but which had a long outsize external copper exhaust-pipe to proclaim rather more poke than this so-called super-sports model, in fact, possessed. So what mediocre, even bogus, sports-cars come to mind? Perhaps it is unfair to include the 11.4 h.p. Citroen which appeared in 1924 with a skiff-like sports body, because it took part in the Routes Pavées races (but without being placed therein, and, anyway, these were more tests of suspension and durability than speed), and other speed events. But although it may have been mildly-tuned, one feels that the skiff was, in the main, little different from the very successful touring 11.4 h.p. Citroens, that fulfilled a definite transport purpose at the expense of touring bodywork that was a bit cramped laterally. If I am wrong about the true sporting qualities of these handsome little Citroens with their pointed tails and flared mudguards, I am sure someone in the Citroen CC will tell me. But it does otherwise seem that this can qualifies as a sham sports-car, a sort of poor-peasant's imitation and poor parody of the great skiff-bodied Renault 45, although useful presumably for the then-popular Concours d'Elegance that enlivened summer afternoons at Nice, Cannes and elsewhere along the Meditteranean coast, with bobbed-haired girls in knee-length skirts, or flowing gowns, in attendance among the dignified Delage and stately Hispano-Suiza entries — and what did they care, about so-many m.p.h. at such-and-such r.p.m.? The 10.8 h.p. Dyno was another rather ordinary, although very good, low-priced utility offering (that splendid Sunbeam-like steering and the effective 4WB) which blossomed out as a so-called sports-car. This one had some claim to the non-bogus, however, because apart from its vee-windscreen, external copper exhaust-pipe, wire wheels and Chinese-white finish with green mudguards, the engine of this sporting Wolverhampton confection was endowed with a balanced crankshaft, raised compression-ratio and light-alloy pistons. Moreover, its normal three-speed gearbox, with r.h. change, could be augmented to four forward speeds for an additional £20 above the £310 charged for it in 1924. Also, this one competed occasionally at Brooklands and in sand-races. 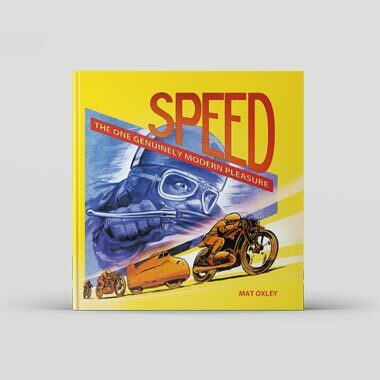 I believe, incidentally, that two different sports bodies were evolved for it... Deemster, too, listed a sports-model of dubious performance, trading on Kaye Don's successes at Brooklands and elsewhere with a racing edition of the Ogston Motor Company's offering. The thoroughly dependable and durable Fiat 501 came out in a sports guise, to the delight of comparatively impoverished enthusiasts who simply had to take part in the Mille Miglia, etc., but we had to wait for the enticing little Fiat Balilla for a real small sports-car from the Turinese Colossus. Even the flat-twin 7 h.p. Jowett, with its "little engine with the big pull" came out in aluminium-bodied sports guise, a somewhat startling move on the part of the dour and cautious Yorkshire brothers, but inspired by relieving an Amilcar of the Class-G 12-hour record at the Track, at 59.4 m.p.h. At least this one had the breathing through its long induction-pipe improved by the fitting of a 30 mm. carburetter, and the radiator was set well back behind the front axle. So the theme was truly sporting, with the occupants sitting virtually on the floor to reduce height, and both handbrake and the typical stubby gear lever being outside the simple, doorless, pointed-tail body. The detachable cylinder heads that the inimitable J. J. Hall had used for the record-bid (to enable a blown gasket to be more easily changed than by the normal method of taking out the engine holding-down bolts and twisting the power unit about until the offending cylinder was accessible) were retained for this catalogued sports-model and soon adopted for all the Jowett models — we have long maintained that speed work improves the breed...! The very first of many sports-model Austin Sevens, which made its debut in 1924, was rather a sham, being simply a very mildly-modified Chummy with that body replaced by a distinctly cheeky two-seater with vestigial pointed tail, at a price increase of £10 over that of the Chummy that was intended for two adults and their two infants (presumably the sports Austin 7 was for those practising Marie Scopes' new. birth control plan) giving a top speed of approx. 55 m.p.h., an increase of five m.p.h. or so over that of a flat-out Chummy. 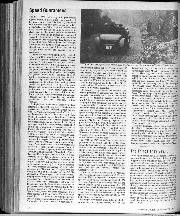 Such a sporting intention was pathetic in 1924 when compared to Sir Alistair Miller's Sports Model or Speed Model Wolseley Ten, for whereas the Wolseley Ten two-seater, its overhead-camshaft engine not withstanding, was a pedestrian little beggar, which cruised at only 30 to 35 m.p.h., the sports version, of which there were two different kinds, could exceed 70 m.p.h. when in good fettle. For did not Miller's chosen lady, Mrs. Knox, keep up that pace and more, round and round Brooklands for an hour, in 1922? On the other hand, they say you get what you pay for, and you paid £695 for the souped-up Wolseley. The later Singer Junior, as the Porlock sports-model, was, like that first sports Austin Seven, not far removed in technical and performance levels from the normal o.h.c. Singer Junior from which it was derived, although it was the precursor of better sports Singers to follow. likewise, the Triumph Super Seven baby motor may have been given a sports-car tail and even a blower, and have been run in the TT, but I imagine there were those who put it in the "bogus" category, just as Donald Healey's 2-litre supercharged Triumph Dolomite was looked upon as a bogus Alfa Romeo by many, in the immediate post-vintage regime. 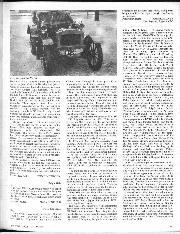 I do not pretend to know to what extent the sports Bayliss-Thomas, one of which still deports itself in VSCC events, was tuned, in relation to the ordinary models, but when Calthorpe made a sports-car they did at least go in for things like drilled con.-rods, h.c. pistons and so on. Rover had two bites alike bogus sports-car market, first with a so-called sports-version of the 14/45 h.p. with its complicated valve-gear and later with sports two- and four-seater 9/20 h.p. models. But at least they had the sense to term these models, with their two-tone finish of strawberries and cream, 1,100 c.c. o.h.v. 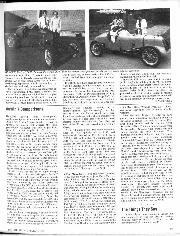 "semi-sports" cars, as they did only 55 m.p.h. in 1927. And as the sports 14/45 h.p. Rover had been timed at Brooklands to do just short of 85-1/2 m.p.h. over a flying-mile, perhaps I should excuse it the "bogus" label? Some of the pre-1915 Singer Tens seem to have been border-line cases, until Lionel Martin waved his magic wand over them, or were they fleet enough in their day to be regarded as little sports jobs in their own right? Not so the insipid worm-drive Standard Nine in its sports guise, priced at £225 in 1928, for by then 60 m.p.h. was not quick enough for such a title, and I do not think the intended supercharged 75 m.p.h. edition ever became reality. Why is it, I wonder, that I feel weak at the knees when contemplating supercharged Standard Nines and Triumph Super Sevens? 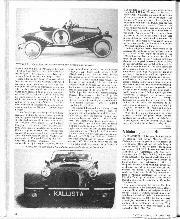 Louis Coatalen got over the problem of being accused of building bogus sports-cars by making available special engines for his touring chassis, like the single o.h.-camshaft power units of 1921 and a slightly tuned engine for the Sunbeam Fourteen. He also made a few indecently quick 14/40 Darracq sports models by putting twin-cam 1-1/2-litre engines beneath their unsuspecting bonnets. Other sports-cars that were mostly so in name only were made by Rhode, Windsor, and Westwood, the Westwood disguising this with a long-tailed, polished aluminium body with mudguards and upholstery in tangerine, when it made so bold as to appear at the 1924 Olympia Show as a Super-Sports model, priced at £395. (Weight saving wasn't the ploy, either, because for an extra six pounds the customers, if any, were persuaded to have a second spare wheel. Just because it was supercharged the 12/40 h.p. Mercedes might have been seen as a sports-car, but it was never intended as such, although it did lead to those great 33/180 h.p., 36/220 h.p. and 38/250 h.p. Dr. Ferdinand Porsche-designed Mercedes-Benz sports-cars, but I would put the 16/55 h.p. sleeve-valve Daimler of 1926 in the "bogus" category, its sporting aspects confined to the handsome bodywork — Motor Sport tried both, in their time. In these enlightened 1980s, Replicars are on the increase. They no longer lack performance, which was a mark of the bogus sports-cars of the 1920-1930 period, but I cannot see the point of them. If you want to enjoy fresh-air motoring, there are several good convertibles still available, such as the Golf GLi and the Talbot Samba. 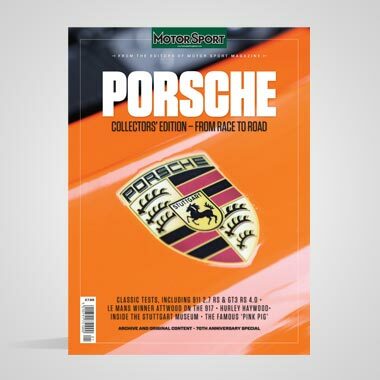 If the aim is to couple fresh-air fun with sports-car characteristics, there are the Morgan and the Caterham (Lotus) Seven, which are not copies of anything, being genuine traditional sports-cars. Replicars may have plenty of urge and satisfactory road-holding, but they look out of place and comic to me, for 1980's tyre and other component sizes do not blend well with old-fashioned styling. Which may be why, as beauty is supposed to be in the eye of the beholder, and one man's meat is another man's poison, I find, as a purely personal assessment, a Panther, for instance, quite appallingly ugly in frontal aspect... Perhaps Replicars are intended for those who want to be noticed on the road, by pretending to be enthusiasts for vintage-type cars but not wanting to go to the trouble of owning and driving anything in the least temperamental or difficult. Why did I bring up this matter of bogus sports-cars in the first place? Maybe for the satisfaction of reminding you that one of the finest of sporting cars, the 30/98 Vauxhall, was usually quite content with title of fastest touring car.